Ridge Runners - The Cannon Style!!! Cannon Mountain - early morning light on the wall!!! Cannon Mountain ( formerly Profile Mountain ) is 4080 foot peak in the White Mountains of New Hampshire. Its known by climbers for both technical alpine rock climbs and high end ice climbing routes. 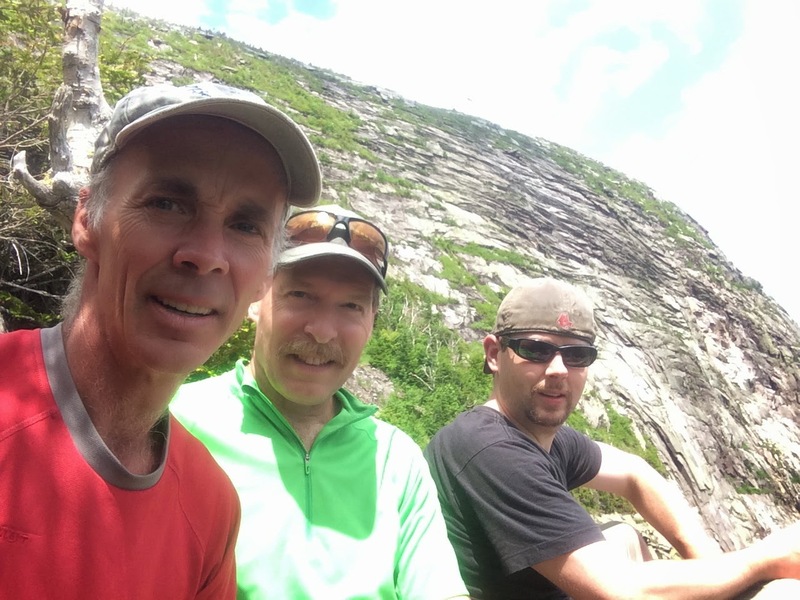 Bill, Grib and I have been planning our ridge running day for some time now. Last week we all managed to squeeze some free time into our work schedules for a meet up on Cannon. It was a hot one so we opted for the Whitney Gilman ridge which would give us a chance for a slight breeze on this hazy, hot and humid summertime day. The WG ridge is the sharp arete/ ridge in the center of the photo. 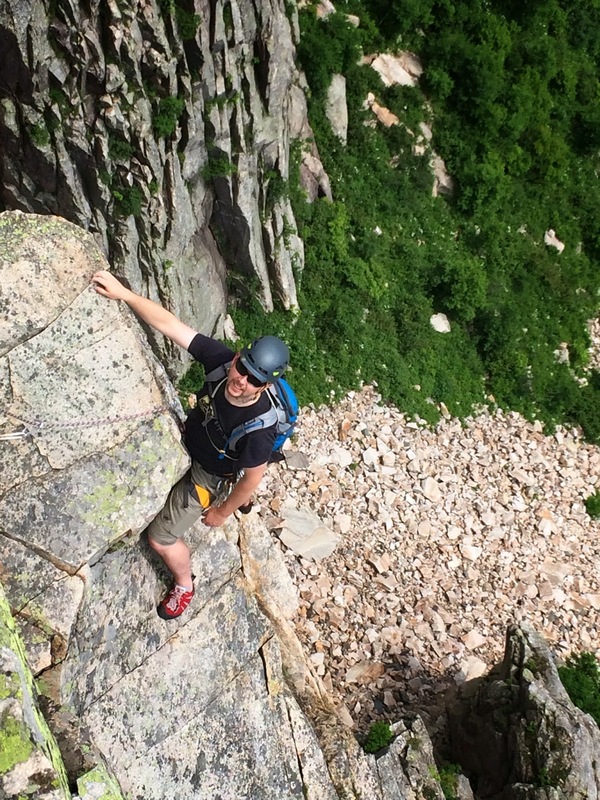 The line is striking, the exposure is exciting, and the climbing is varied and technical. 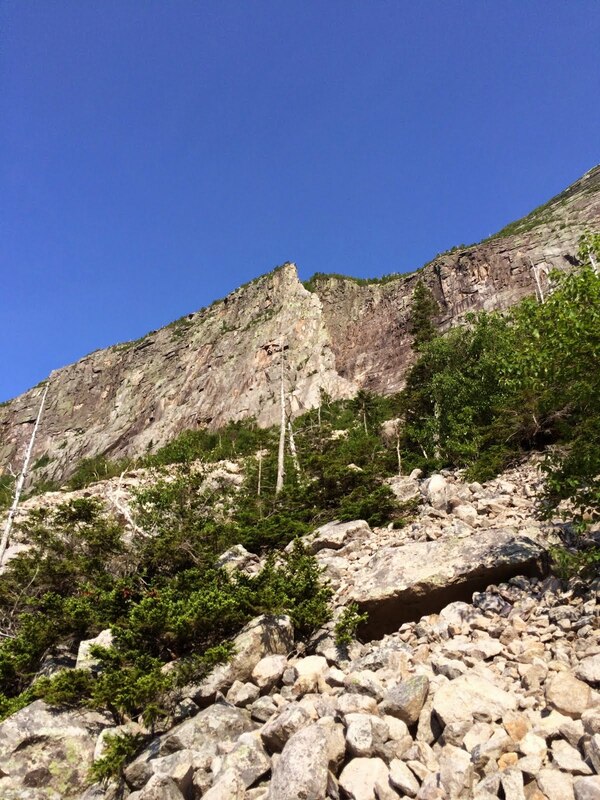 The entire route along with a few puzzling cruxes blow my mind when I think about the first ascent boys riding the ridge in 1929. This was an awesome feat at that time and stood to be one of the harder routes in the country for many years. Bill getting his warm up on the talus field - a true champ - he made it to Cannon the day after a 25k trail race/run at the Trapp Lodge. Bill back at it - just like riding a bike. 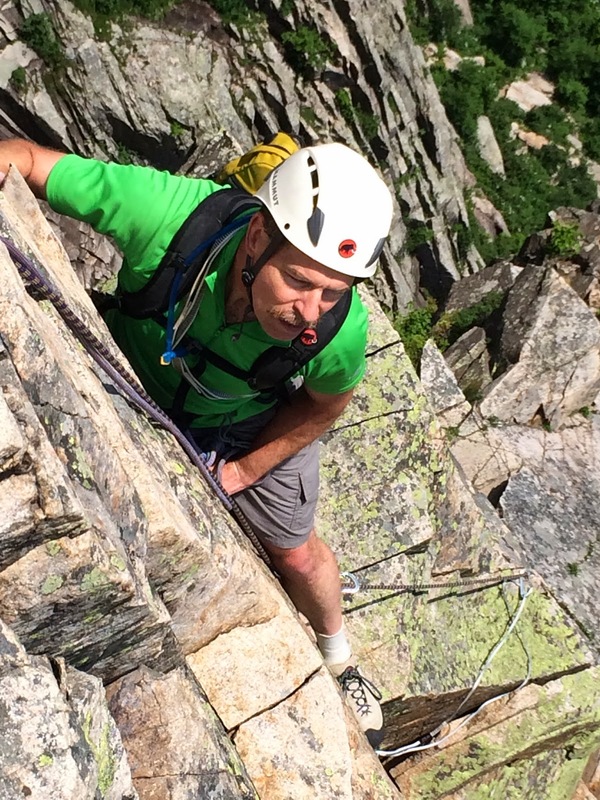 Its been a few years since Bill climbed on Cannon but he did not miss a beat - we motored up the stone as a team of three. Grib climbing and looking quite casual after figuring out the Pipe Pitch moves high over the exposed north wall. A focused CEO whats next!!! 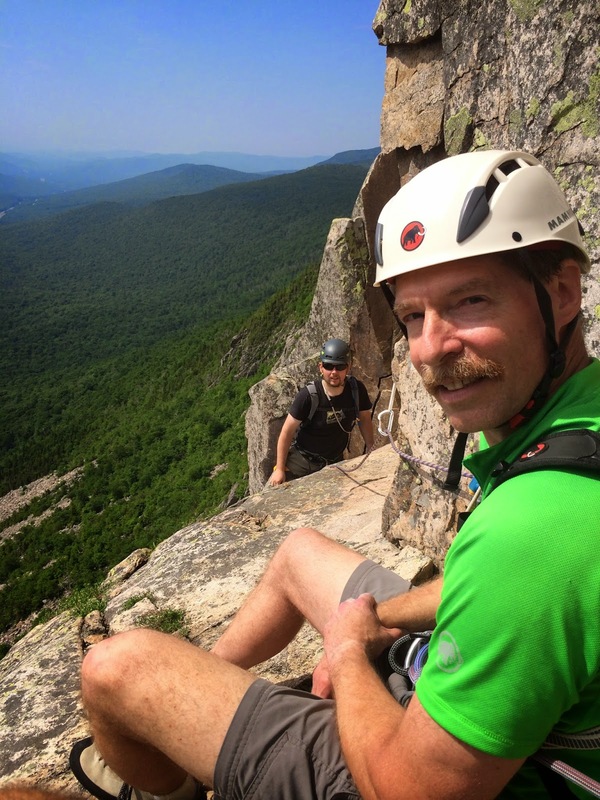 A high belay perch over the Franconia Notch Valley. A bit of R&D or R&R for the Mammut team, what better way than to get out and climb, putting Mammut clothing and equipment to use on Cannon. This is a sizable and fantastic ledge above the pipe pitch. Time to refresh and replenish for the two pitches above. 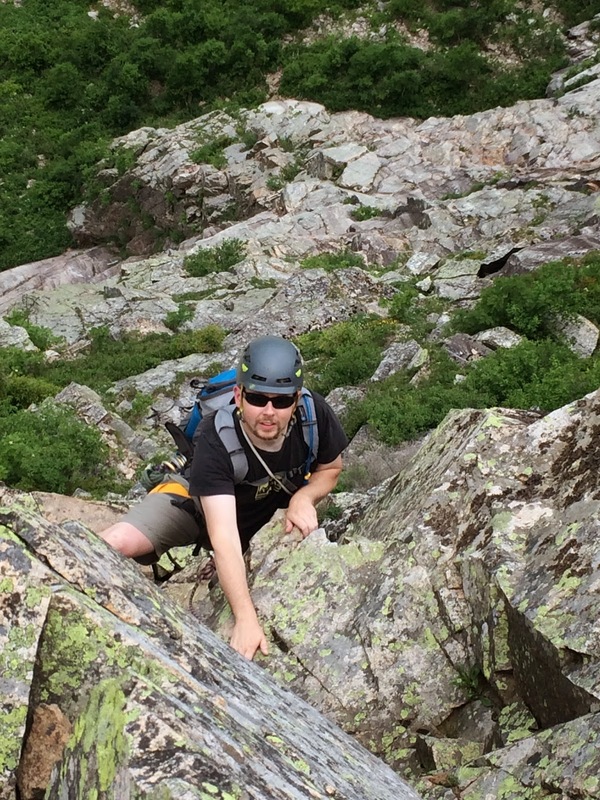 Grib getting it done - cruising on the final pitch. What a great day getting together. 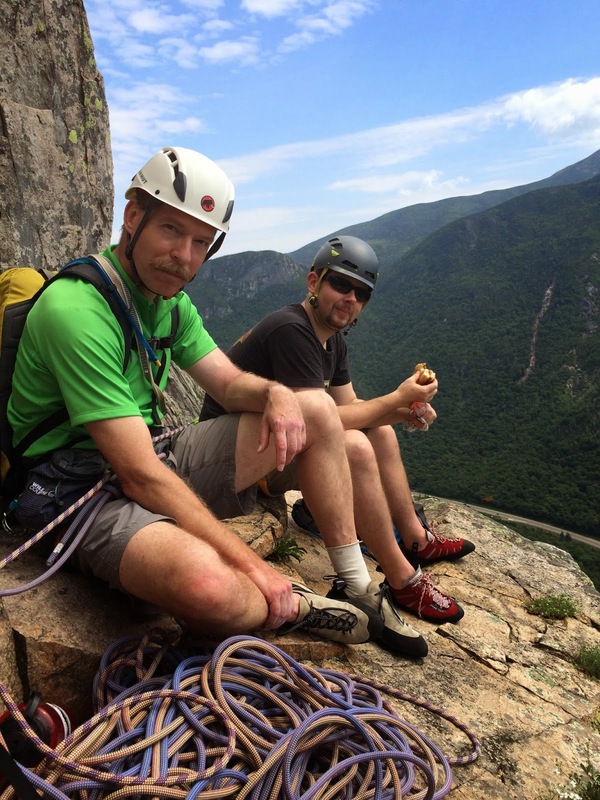 Thanks to Bill and Grib - for joining me at this special place - Cannon Cliff.